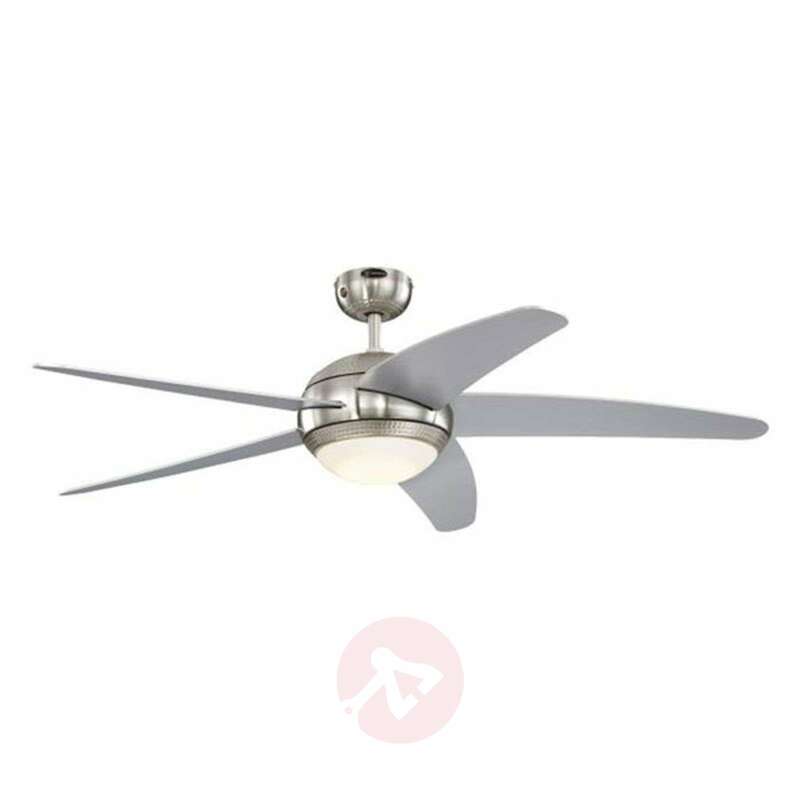 The modern Bendan ceiling fan comes with a chrome-plated housing and silver-coloured wooden blades. The hammered finish is very attractive. The integrated LEDs mean that Bendan can also be used for general lighting. The LED light can be dimmed via the remote control provided. The remote control requires AAA batteries, which are not included and can be ordered separately as accessories. 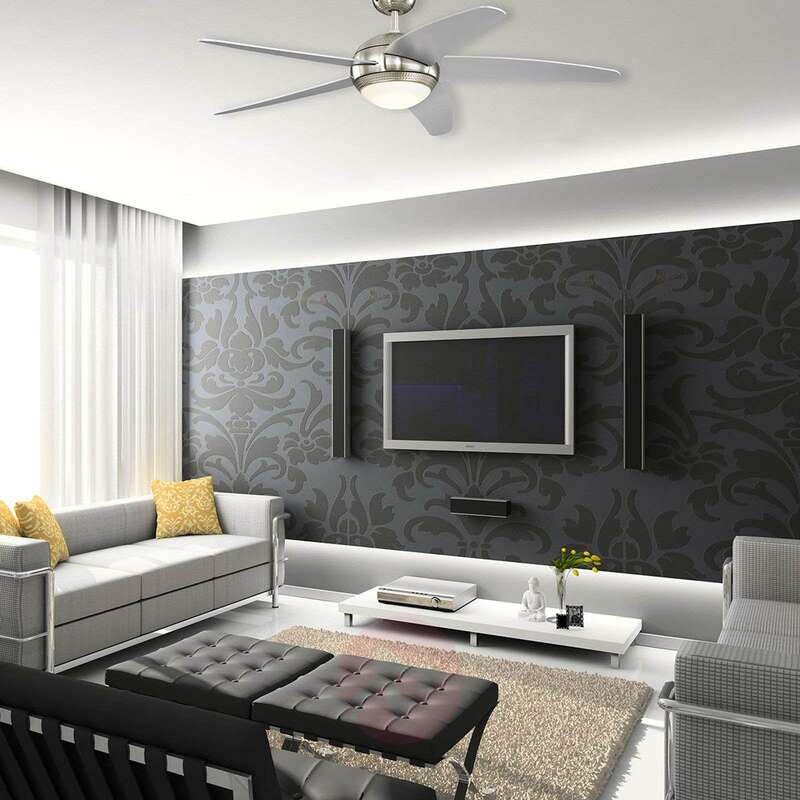 The Bendan ceiling fan has been designed to freshedn the air in rooms of up to 36 m². It generates an air flow of 159 m³ per minute. With summer and winter modes so that you can change the direction of the fan to switch between cooling the air and redistributing the warm air in the room. The LED light can be dimmed via the remote control provided. – An extension rod is included. This must be used on installation. The weight of the ceiling fan is 7,6 kg. A fantastic ceiling fan that does the job. I purchased this ceiling fan for the bedroom due to the recent hot and humid weather we were having. It's much larger than needed for the room size, however this must means it performs effortlessly circulating the air. This is a very stylish lamp and was easy to install. The added remote control is great giving you full full control of the fan speed and dimmable led light. What impressed me the most over cheaper fans I've had in the past is how quiet the motor is with this fan, you can hardly notice it when going to sleep making it ideal to leave running all night, although on full speed it is a little noise but that is mainly down to the air vortex the blades make. I was also impressed by the lack of wobble while the fan is running, although a little wobble is noticeable when it is on full speed. I love this ceiling fan and would highly recommend it. I am thinking of buying another two for,downstairs.